Today at the 20th Annual Telemedicine Meeting & Trade Show in Los Angeles, American Well revealed its next generation product line—American Well 8. This revolutionary release marks the most dramatic update to our product since the initial release in 2008. The most significant and progressive updates are to the provider tools. 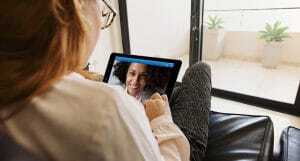 For the first time in history, doctors and other providers are able to inject telehealth into any clinical situation at any time right from their mobile or tablet device. Our provider mobile capability is really the “killer app” of the AW8 release. 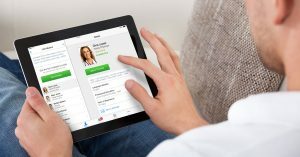 Doctors can now carry their practice with them and have online video visits with patients whenever they’re available. They can schedule appointments, review patient records, perform documentation, prescribe medication and send secure messages all from their smartphone device. Our new AskMe status is a game-changer in its own right. Simply put, patients now have the choice to select a particular doctor, or find the first-available. The AskMe mode lets doctors make themselves available to receive patient requests, but then simply accept them or not. If they decline or ignore, our brokerage system pings another available doctor within the network straight-away. AskMe allows health systems to project their clinical resources in a much more efficient and effective way, without requiring any sort of pre-determined commitment. Providers are now able to review data collected from patients’ home biometrics devices using built-in Apple Health integration. 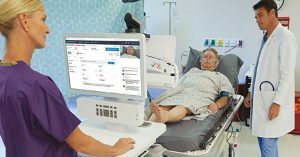 This type of monitoring capability is dramatically shifting telehealth from a traditional urgent care option to one of population health and chronic care management. Apple Health is a powerful tool, and we are honored to have been selected as the very first telehealth partner. The Telehealth Now feature allows doctors to invite patients for telehealth visits, for immediate or scheduled visits. Patients are sent an email invitation, which takes them directly into the video visit with their provider. These are just some of the new features of our AW8 release, which are nicely complemented by the already existing proficiencies of our provider platform. With AW8, physicians are taking control of how and when they see their patients, giving them unparalleled flexibility to practice healthcare on their own terms, and on their own time.